We are an affiliate of the Society for Human Resource Management, and a local starting point for networking, information, professional development and continued support for those interested in Staffing, Recruiting and Human Resources. Our mission is to serve as a resource for HR professionals focused on talent development, sourcing and staffing in New Jersey. We welcome your use of this site as a resource and encourage you to check back frequently for updated information. We also encourage your involvement and suggestions about all of our activities, on the web and off. We look forward to seeing you at an upcoming meeting or event! 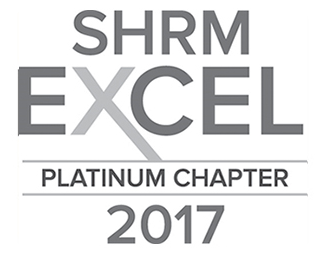 SMA-NJ, a SHRM specialty affiliate chapter, has been awarded the 2017 PLATINUM EXCEL Award! 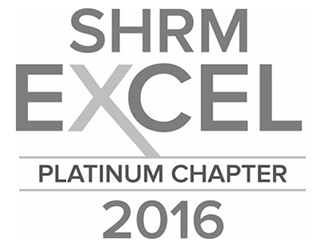 The Staffing Management Association of New Jersey is proud to support the SHRM Foundation. Your ongoing participation in our group helps us all shape the future of HR! The Garden State Council-SHRM Board and it’s 11 affiliate chapters are especially proud that this year’s honorees include organizations represented by two long time SHRM volunteer leaders - Marjorie McLaughlin (Caliper) and Theresa McGlinchy (Trane). To learn more about this year’s honorees across the country, view the best practices and possibly apply for the 2015 award, visit the Families and Work Institute website at: www.whenworkworks.org.